Home » Agri-Business » What do the chairmen of Glanbia, Lakeland, Carbery, Aurivo, and Arrabawn all have in common? What do the chairmen of Glanbia, Lakeland, Carbery, Aurivo, and Arrabawn all have in common? The Chairmen of Glanbia, Lakeland, Carbery, Aurivo, and Arrabawn all have one thing in common – they’re all graduates of the ICOS UCC Diploma in Co-operative Direction. And, ICOS is running the diploma course again this year. Running since 2001 the programme aims to produce strong, motivated and insightful leaders. According to ICOS, as we face into quota abolition, and prepare to grow our industry to become a world leader in dairy and infant nutrition, we need to continue to generate a pipeline of educated co-op directors; prepared to take the difficult decisions necessary to create strong resilient co-op businesses. Farmers are looking to their co-ops to be strategically focused, profitable businesses, with the scale, efficiency and innovation necessary to compete with the global food giants. The ICOS UCC Diploma in Co-operative Direction arms graduates with key skills in areas such as; team building and communications, corporate governance, leadership, organisational development and change, international marketing, strategic management, financial appraisal, new technologies and future food developments and policy and regulation. The next programme runs from June to December 2015, and is open for enrolment now. For more details visit the ICOS website. 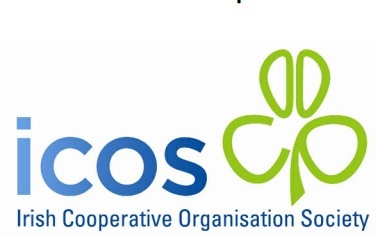 Under its Skillnet programme, ICOS runs a number of leadership and training courses. The aims of the Skillnet programme include to provide industry specific, customised and most relevant training to the member companies in order to improve their competitiveness and to improve the quality of training and development activities and provide real opportunities toemployees of the member companies.